With filming for the first James Bond movie in four years underway, fans of the secret agent will be keen to see which swish wristwear he’s going to wear. The film is currently being shot in Norway and the first set photo has been revealed but there hasn’t been a glimpse of Daniel Craig in action just yet. Just like his alter ego, Craig also loves his Rolex and Omega watches. Both brands have had relationships with the Bond franchise, with Omega the current brand of choice. But what will be the chosen style this year? Rolex was always Bond’s favoured watch until Pierce Brosnan took over as the agent in 1995. He wore a quartz version of the Omega Seamaster Professional 300M in GoldenEye. 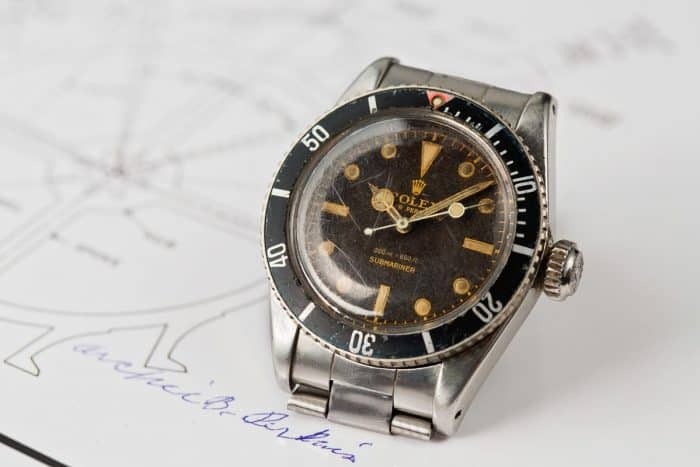 Sean Connery wore a Rolex Submariner 6538 in Goldfinger, which Craig now has in his private collection and has worn in interview on many occasions. 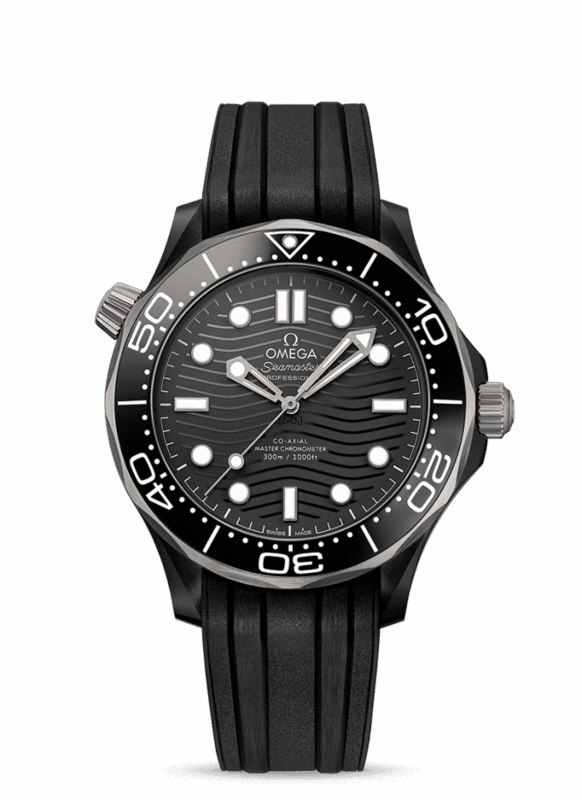 In Spectre, the most recent Bond chapter, Craig wore an Omega Seamaster 300 Spectre, of which 7,007 replicas were made as well as an Omega Seamaster Aqua Terra in the opening sequence. So will Bond stick with Omega for Bond 25 or revert to something else? 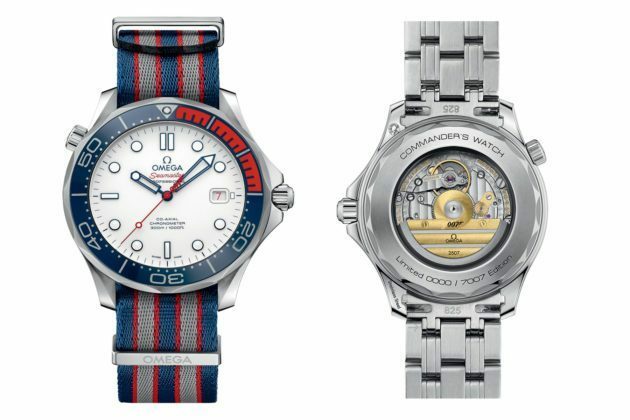 Inspired by Bond’s military rank in the Royal Navy, Omega has created the “Commander’s Watch”. Rumour has it this red, white and blue beauty could be gracing the wrist of Bond in the new movie. With stainless steel case and white ceramic dial, the watch features a 007 gun logo and is powered by Omega’s exclusive Calibre 2507. Omega haven’t confirmed this is the watch but we think it would be awesome. The steel version has 7,007 pieces available but an 18k yellow gold model will have fans raving with just seven watches available globally. And if the rumours are just that, here are a few other watches we’d like to see gracing our screens. Omega has unveiled a new collection of exclusive boutique watches for passionate travellers. Whether a proud resident or smitten visitor, you could take your pick. Wherever Bond ends up on his travels, could he be seen sporting one from New York, Paris, London or Switzerland? Landmarks can be found engraved on the back. And they look suave, so a great match for the nation’s favourite agent. This beautiful watch, a new version of Seamaster 300, will be launched in Spring and features a case made from polished and brushed ceramic, with both bezel and caseback made from grade 5 titanium. While the core collection of the Seamaster Diver 300M comes with a 42mm case, this one comes in at 43.5mm. It comes on a black rubber strap with a buckle in black ceramic.